Primary purpose of this lecture is to present International Humanitarian Law and Geneva Conventions. International humanitarian law (IHL) is the law that manages the conduct involving armed conflict. It is that branch involving international law which in turn seeks to limit the consequences of armed clash by protecting persons who are not or not participating in hostilities, and by reducing and regulating your means and strategies to warfare available in order to combatants. 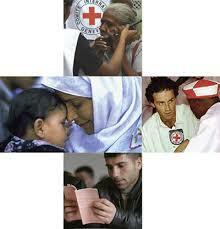 IHL is influenced by considerations of humanity plus the mitigation of peoples suffering. This lecture briefly focus to describe what kind of human rights are commonly violated in armed conflicts and why should we care about the welfare of the enemy.